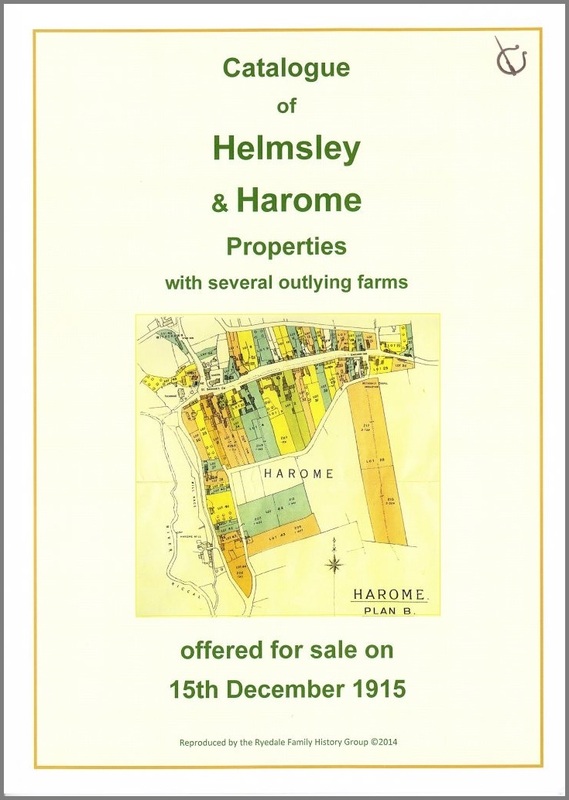 The Catalogue for the sale of part of the Duncombe Park Estate - 15th December 1915. Includes a detailed description of each property, the names of tenants and a colour-coded plan of the estate. *Most of the properties are in the village of Harome, with some outlying farms. A total of 82 lots.